Vilar is a representative example of a Caurelan hamlet. Dozens of homes here are made from slate and they are so close together that they even share the same roof. You can see simple entrances or entrances with an outer stairway and old wood attics. Most of these houses are in very bad condition, but it is still worthwhile to see the village and its narrow side streets with rocky floors, which have a special charm. There are also covered two-jet springs and abandoned vines. Approximately ten people live here in winter. 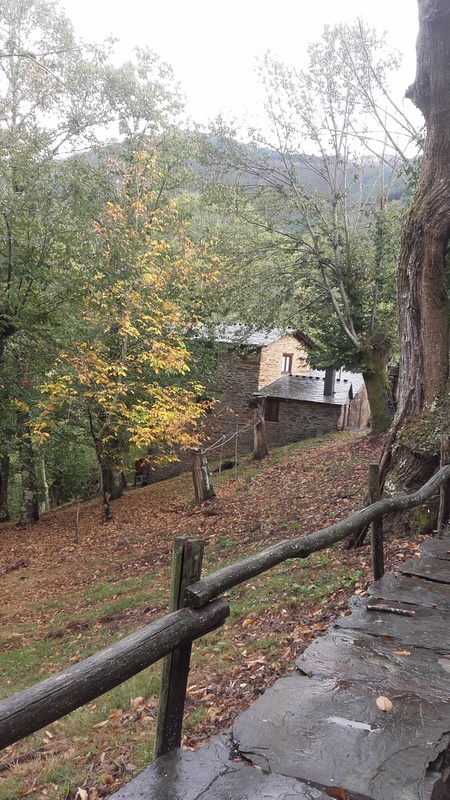 In Vilar we can also visit "A Casa do Ferreiro" (Blacksmith's House) for free. This has a singular exhibition of "Trebellos e Aparellos" (equipment and utensils) typical of the area, although in the entrance there is a notice indicating "leave one euro per adult for upkeep". Crossing the hamlet and following a small path, we come to the Castro de Vilar. This preserves the configuration of a prehistoric Celtic settlement. This archaeological site is located on top of a spur, in a meander made by the River Lor. It is one of the largest in the whole area of O Caurel. It belongs to the series of high Celtic settlements which defend the path on the left side of the river.